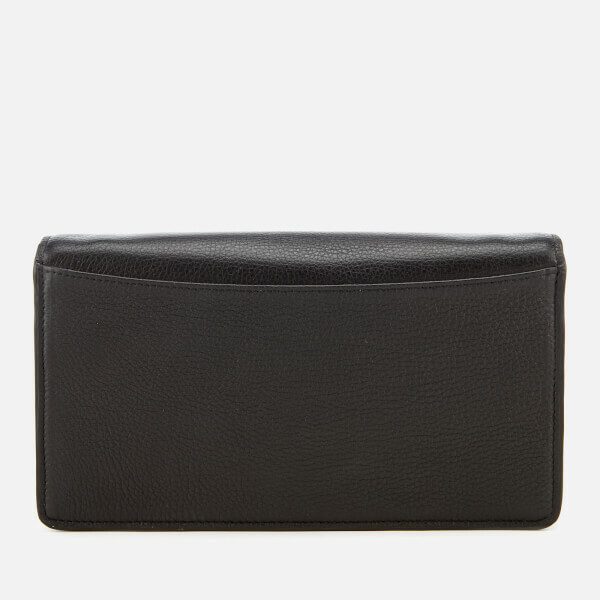 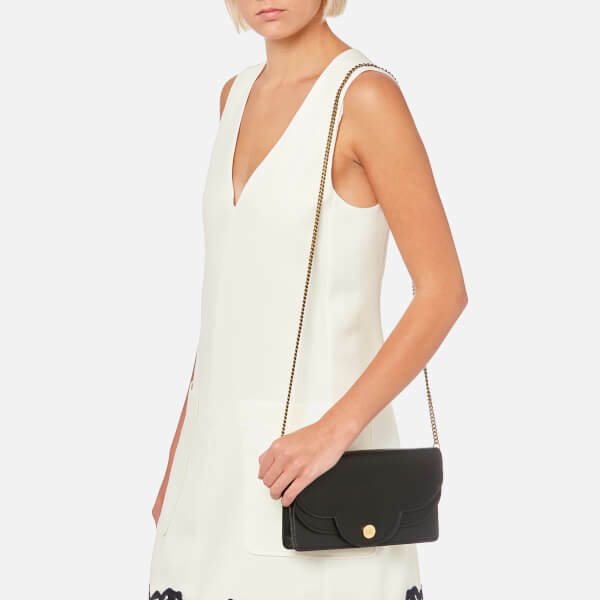 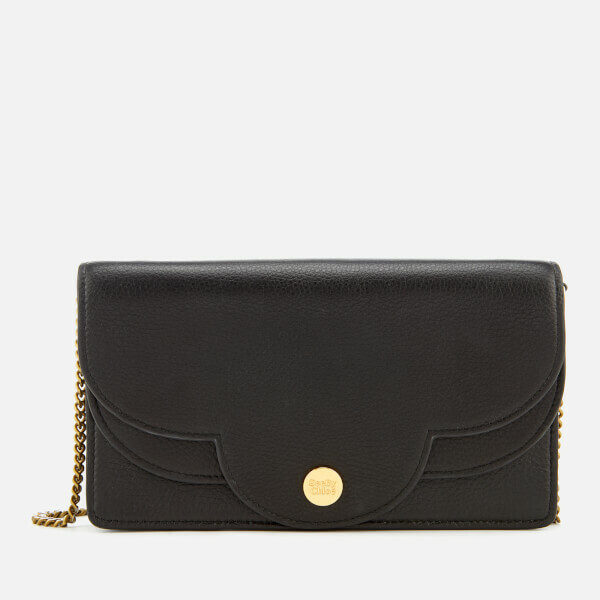 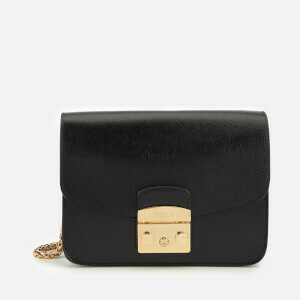 Women’s small cross body bag from See By Chloé. 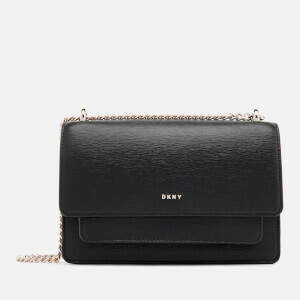 Crafted from soft grained leather, the ‘Mini Chain’ bag comprises a press stud fasten fold-over flap that conceals a front compartment with multiple slip pockets, and behind it, a main interior with a zipped pocket and eight card slots. 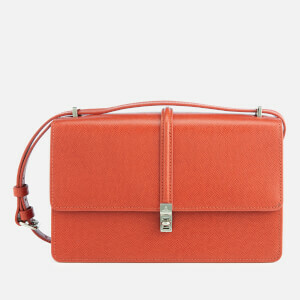 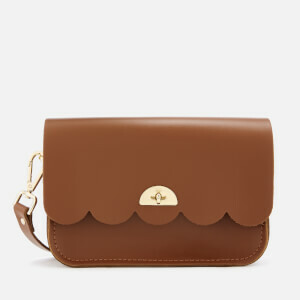 Transported via a long, removable gold-tone metal chain, the bag showcases a layered feature to the front when closed. 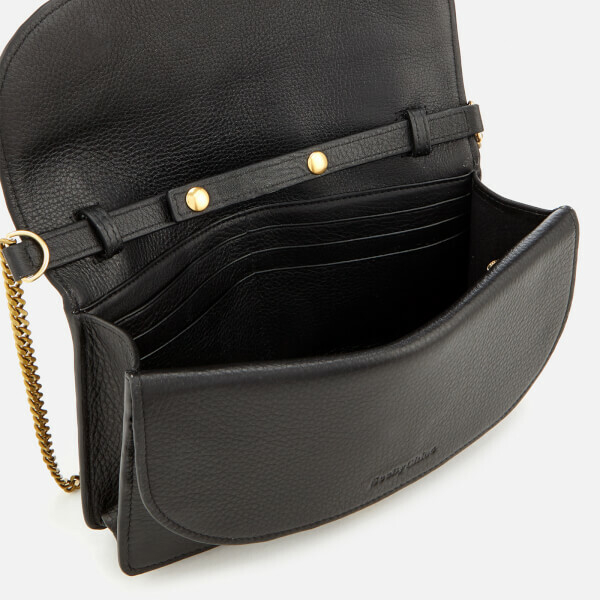 Complete with a rear slip pocket and a metal brand-engraved plate appliquéd to the front.